Kim Wilde's first records were written and produced by her father and brother, Marty and Ricky. The three of them have had a great influence on the music world, as this regular series 'Wilde World' shows. You can always find odd things in thrift shops and charity shops, be it old James Last compilations, jazz greats or classical concerts, or the biggest hits by Thompson Twins or the Saturday Night Fever soundtrack. 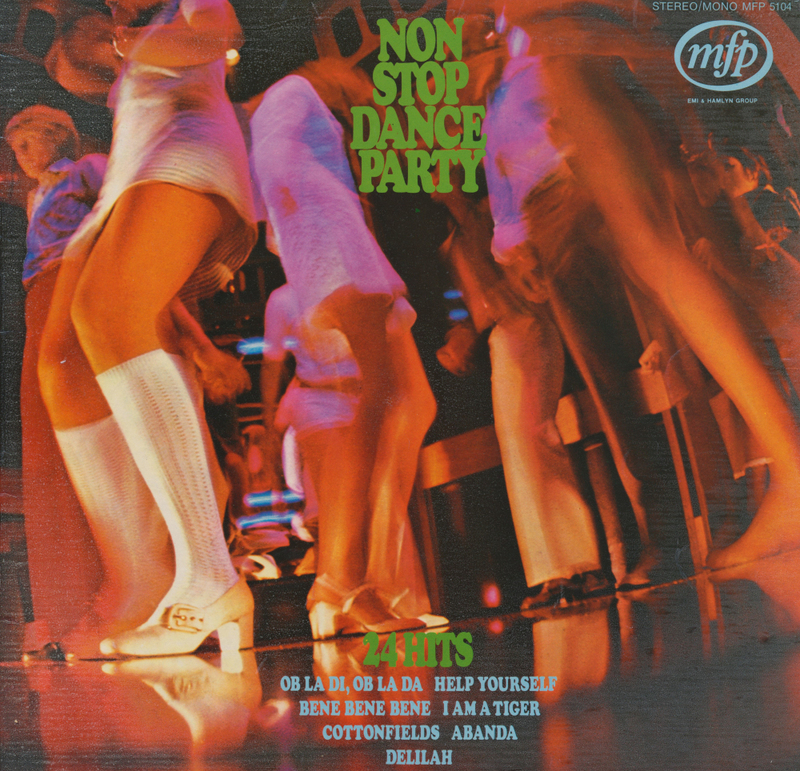 The latest find at the Wilde Life office was the LP 'Non Stop Dance Party', released in 1971 for the employees of Tempo Team, a Dutch employment agency. It features instrumental versions of 24 hits from the late 1960's and early 1970's. One of the tracks on the album is a version of 'I'm a tiger', a Marty Wilde track made famous by Lulu. Some online investigation gave us a little more information: the music was provided by the Happy Sound Band, an anonymous entity that never resurfaced again. The LP was also released commercially with a small blurb of text in Dutch and French on the rear sleeve. In the case of the LP we found it was replaced by a jubilatory text about Tempo Team, who in 1971 celebrated their ten year anniversary. The agency still exists, by the way, but never gives away LP's to their employees anymore.